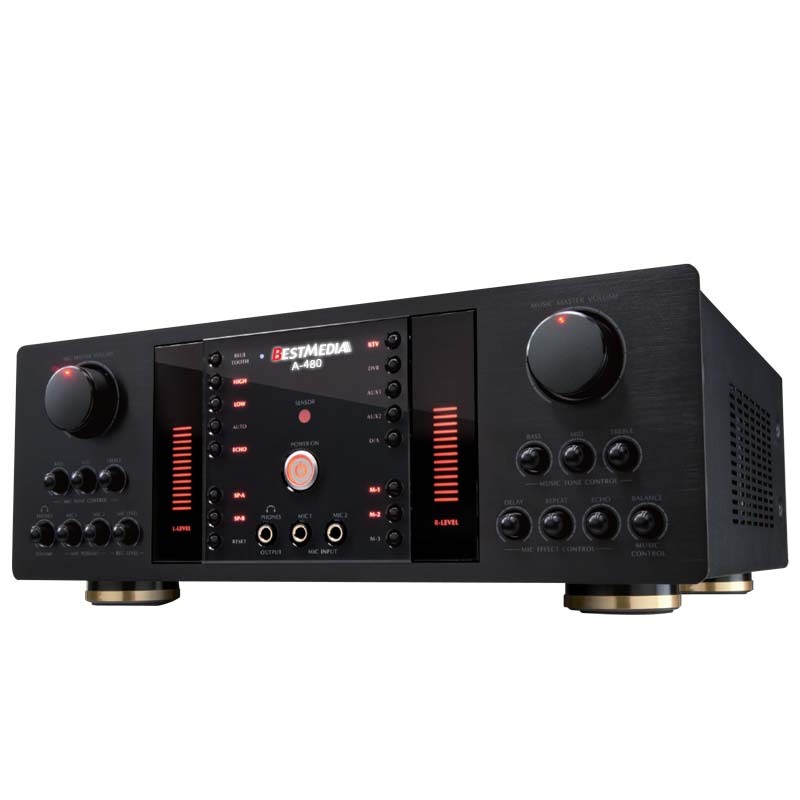 Best media A-480 Hi-Power Amplifier is an advance Karaoke Amplifier that gives you more control on your Music and Microphone voice outcome. 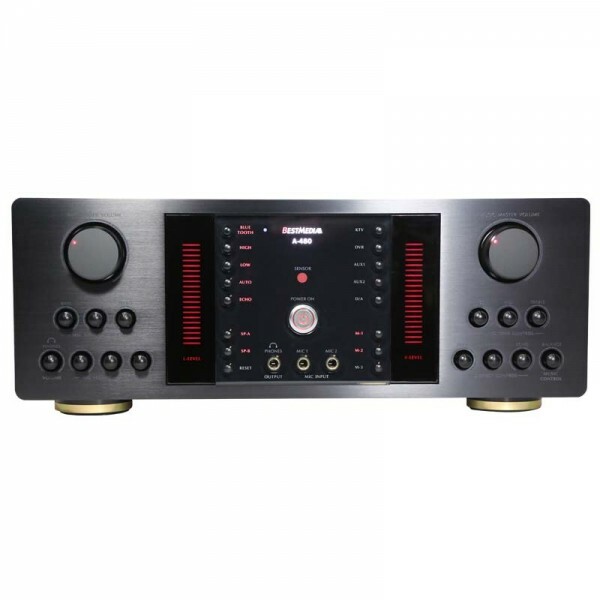 A-480 contains most basic and advance function such as Music Tone Control has Bass, Mid, Treble and Music Balance Control. 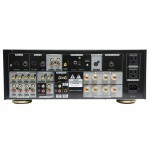 This A-480 is an upgrade powerful amplifier comparing to our A-350. 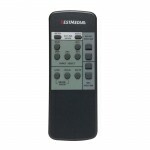 It is absolutely excellent choice if you are searching for a higher power watt for your karaoke room or music performance. 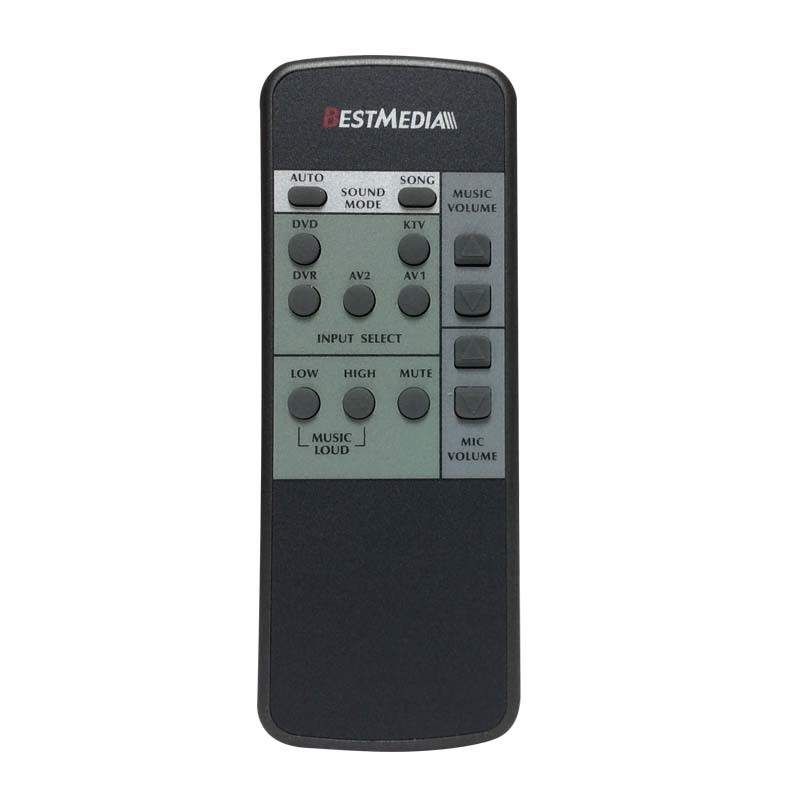 Similar to A-480, Its unique design of the front panel is easy to read and user friendly. The incorporate of two digital music bars on a glassy surface make this amplifier looks more professional and is a great add to singing atmosphere. However, A-480 does not just look attractive, it features excellent technology and high quality material on every of its parts. 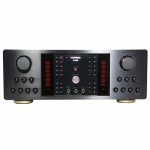 Similar to Best Media A-350 Karaoke Amplifier, A-480 is designed with Switchable Two Speaker System. 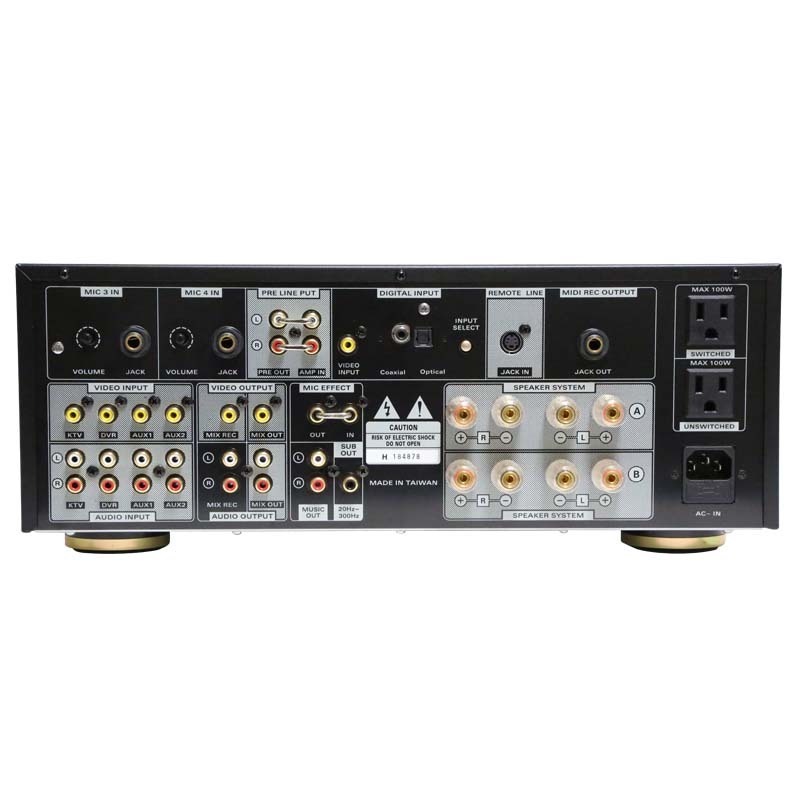 You can connect two sets of compatible Speakers to A-480, such as Boss Speakers for Movie Theater, and Best Media Speakers for Karaoke. With Speaker Switchable function, you can enjoy both watching Movie and Singing Karaoke just by just select which set of Speaker system you want it to play. As Hi-Power series, A-480 Power Amplifier can support up to 4 speakers, which gives you more power and provides customer variety ways to arrange speakers in the room. 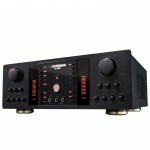 The advantage of having up to 480w of this amplifier can give customer a wider choice and better match of speakers. A good arrangement of speakers can add depth and dynamic of music into space. It certainly turns your sound to real and smooth merging into the music. This version only has built-in Bluetooth, so you can play your Youtube songs from your smart device. Power Protection: A-480 contains excellent built-in Auto Corrected Power Protection to protect both your Speakers and Amplifier get damage from excess its max Power limit. Headphone Output Jack has been added to A-480 for those wanting to practice singing by hearing your voice directly from Headphone. This is an great way to practice, test and adjust your tone before any singing performance or contest. Easy Bluetooth connection allows you to share your music from mobile device. Record plug-in is available, however, optional recorder is required.